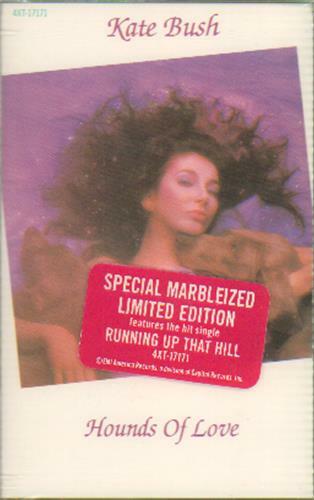 KATE BUSH Hounds Of Love (Sealed 1985 Canadian 12-track limited edition 'marble' effect cassette [likewise, a marbled effect coloured vinyl of the same album was only issued in Canada! 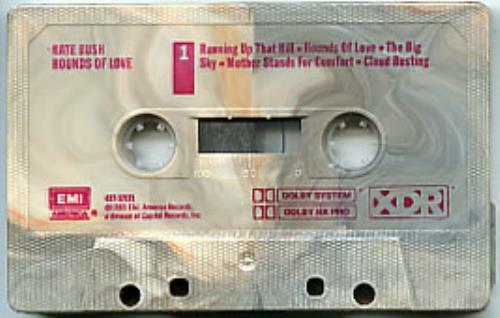 ], with picture sleeve inlay. This is still factory sealed from new in custom stickered shrink & mint & unplayed 4XT17171).